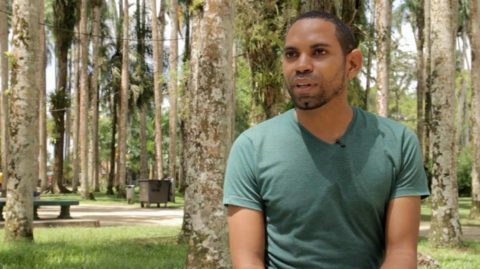 Queer Faces Migrant Voices is a radio / storytelling project with LGBTIQ refugees. It’s a traveling program in which pre-recorded radio stories are alternated with live presentations of participants on stage. The interviews will be conducted by our very own Antonij Karadzoski, while our friends from Radio Pink Terrorists will record live. 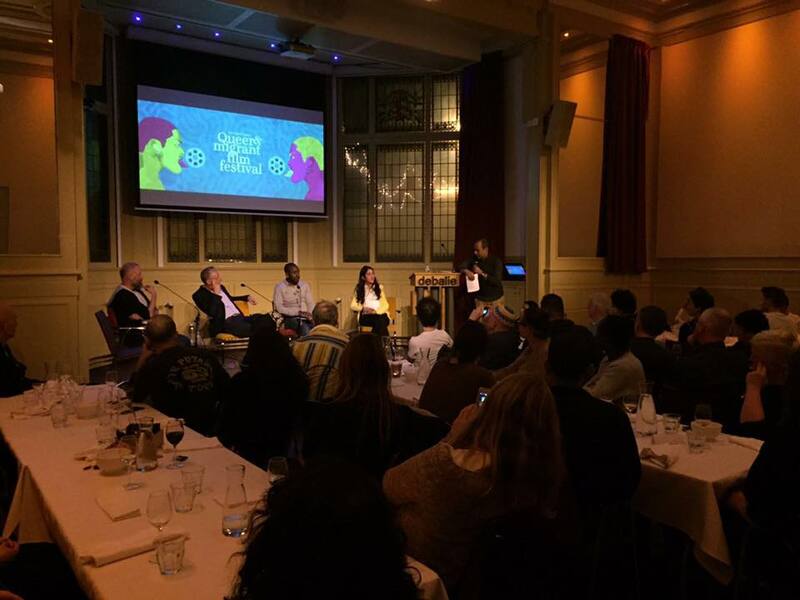 All stories have been previously broadcasted via radio programs in the Netherlands and many cities throughout Europe, holding its first cycle’s final presentation on Jul 31st 2018 y in OBA Amsterdam. As part of Amsterdam Gay Pride, the program is free of charge and the broadcast language is English. On July 22nd between 14:00 hrs. 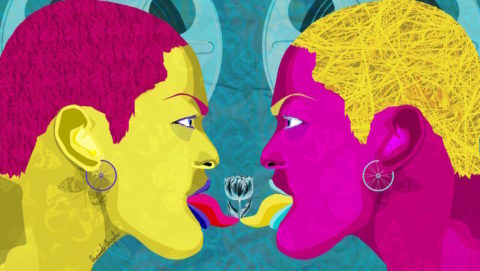 and 18:00 hrs., several films LGBTQI+ will be screened as part of the Pink Sunday theme of Kwaku 2018. Once again we have had the pleasure of being invited to curate part of the films screened at the iconic summer festival. 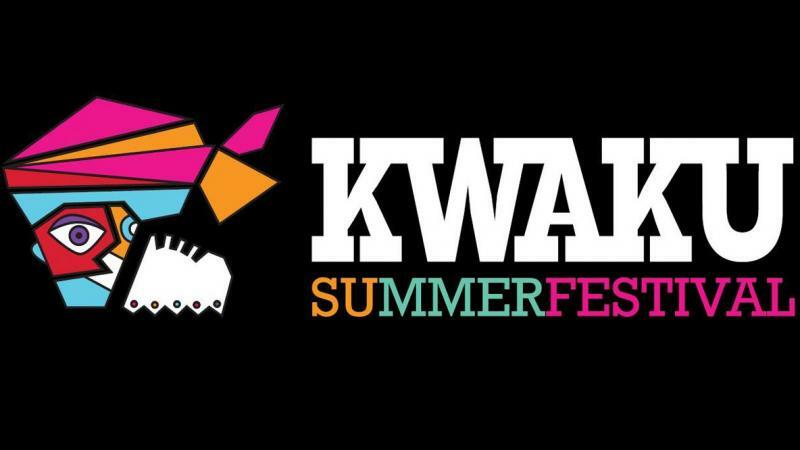 Held in its traditional location in the Amsterdam Zuidoost district, Kwaku is a grand celebration of cultural diversity and Amsterdam identity in which art, sport and food come together in the height of the summer. On July 3rd 2018, the 10th anniversary of theFonds voor Cultuurparticipatie (Culture Participation Fund) was celebrated with the Golden C Awards. 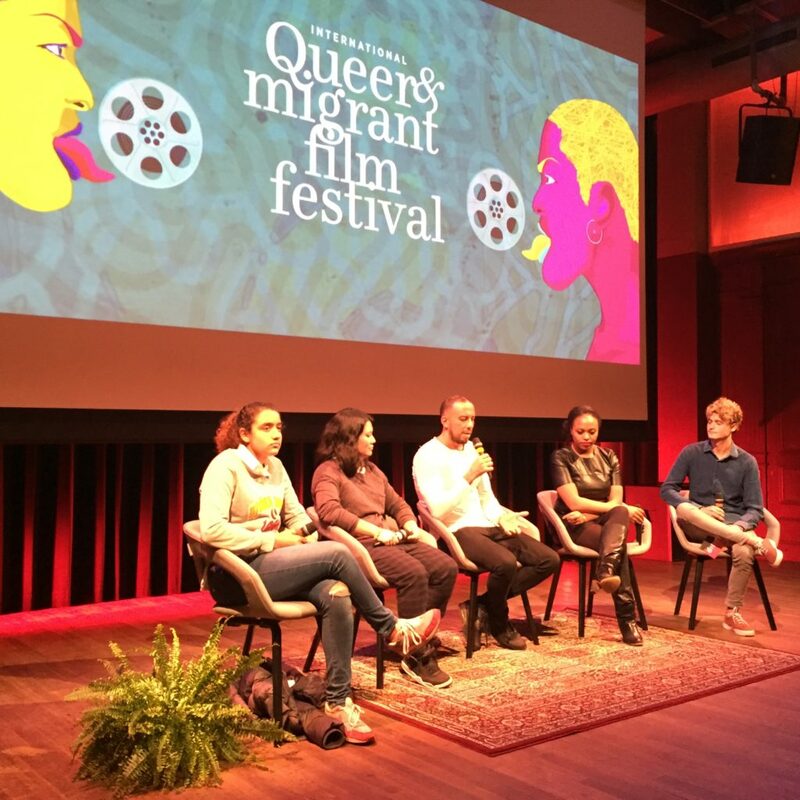 Five projects were nominated by the Fund’s internal committee for Best Project of 2017, including our very own ‘Queer Faces Migrant Voices’ project. We are extremely proud to be nominated alongside other truly remarkable projects. 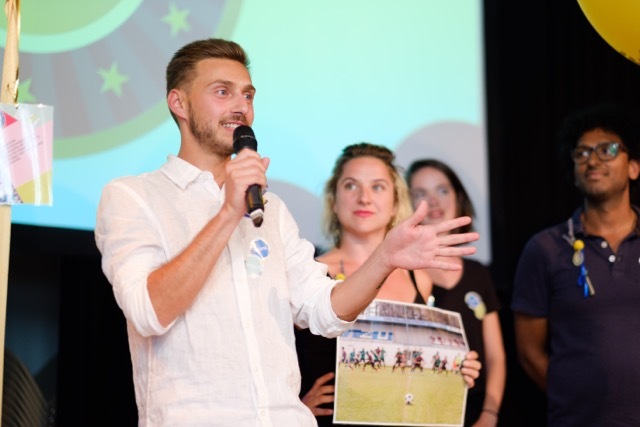 Our project leader Antonij Karadzoski received the nomination on behalf of all our participants and the Stichting art. 1 team with a beautiful speech. Op 3 juli 2018 werd het 10-jarig jubileum van het Fonds voor Cultuurparticipatie gevierd met de uitreiking van de Gouden C. Vijf projecten zijn door een interne commissie van het Fonds voorgedragen als beste project van 2017, waaronder ons project Queer Faces Migrant Voices! Hoewel de prijs uiteindelijk ging naar het project Vocal Statements, zijn we bijzonder blij met de nominatie en de erkenning voor ons werk. 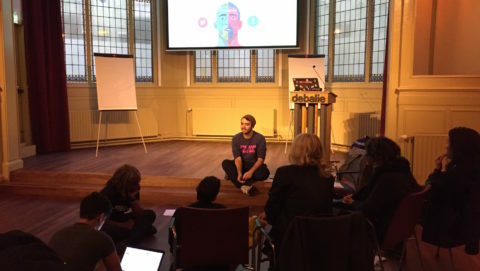 Onze projectleider Antonij Karadzoski heeft namens al onze deelnemers de nominatie in ontvangst genomen met een prachtige speech. Stichting art.1 kondigt met trots de realisatie van LGBT-politie aan: Upclose en personal, een film in co-productie met filmmaker Chris Belloni. Nederland, Italië en Canada. Er is veel vraag naar internationale filmfestivals en Nederlandse ambassades wereldwijd. Stichting art.1 proudly announces the realization of LGBT Cops: Upclose and personal, a co-production with Amsterdam based filmmaker Chris Belloni. 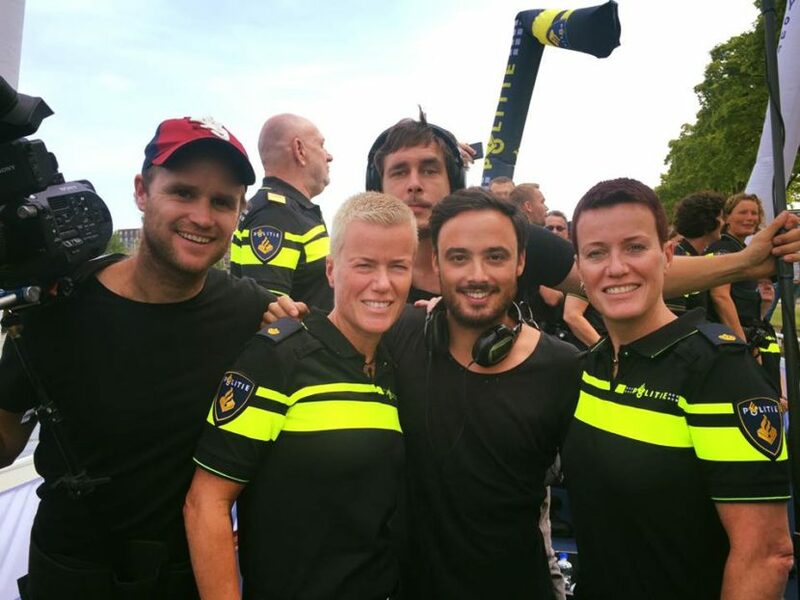 ‘LGBT Cops: Upclose and personal‘ is a 40 minute film with personal testimonies of LGBT police officers from The Netherlands, Italy, Canada amongst others. 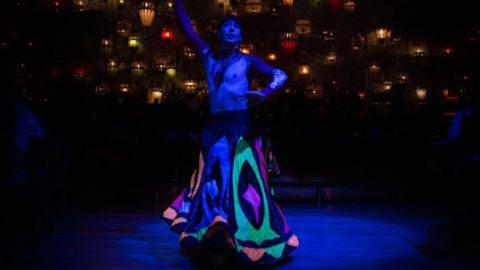 The film is in high demand of international film festivals as well as Dutch Embassies world wide. 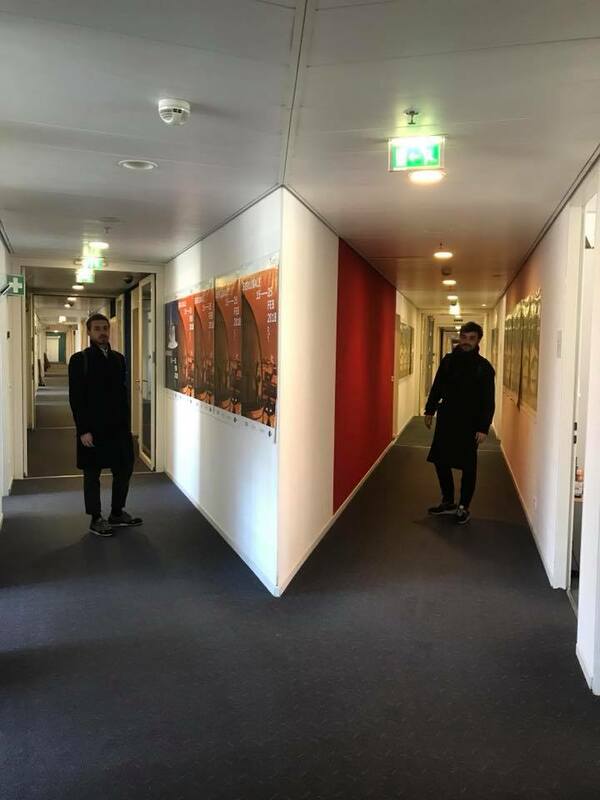 In opdracht van de Nederlandse ambassade in Baku werkt Stichting art.1 aan een human rights – en filmproject in Azerbaijan. Sinds IDAHOT 2017 heeft Chris Belloni het land verschillende keren bezocht voor verkennende gesprekken met lokale civil society organisaties. Het resultaat is een langdurige samenwerking met de ambassade op strategisch vlak. In oktober 2018 verzorgt Stichting art.1 een trainingsprogramma in Baku en bezoeken Antonij Karadzoski en Galo de la Huerta Azerbaijan voor het project. Binnenkort presenteren we meer informatie over dit bijzondere en belangrijke project. Commissioned by the Dutch Embassy in Baku, Stichting art.1 is working on a human rights and film project in Azerbaijan. Since IDAHOT 2017, Chris Belloni has visited the country several times for exploratory talks with local civil society organizations. The result is a long-term cooperation with the embassy on a strategic level. 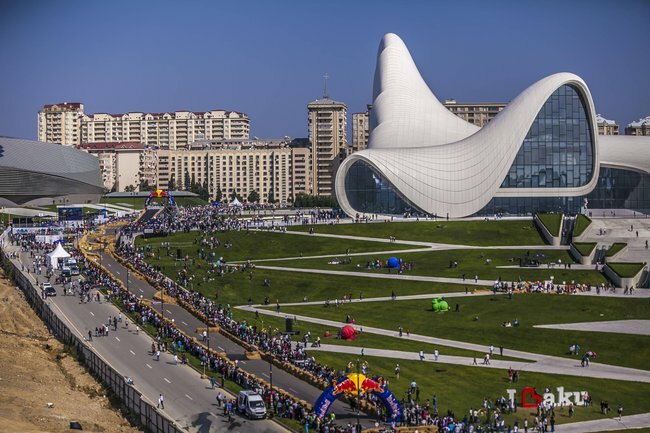 In October 2018 Foundation art.1 provides a training program in Baku and visits Antonij Karadzoski and Galo de la Huerta Azerbaijan for the project. We will soon share more information about this exciting project. 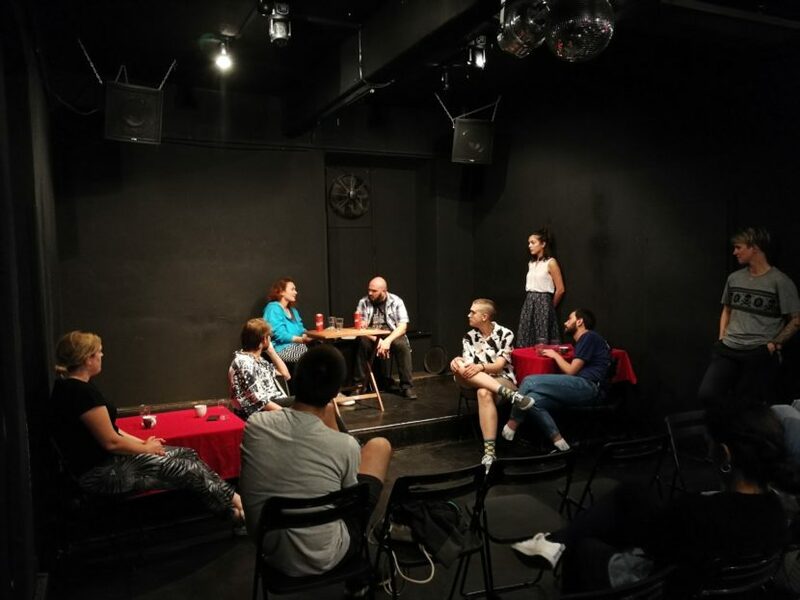 In June 2018, Stichting art.1 was invited to present Queer Faces Migrant Voices in Split, Croatia as part of qFest Film Festival. 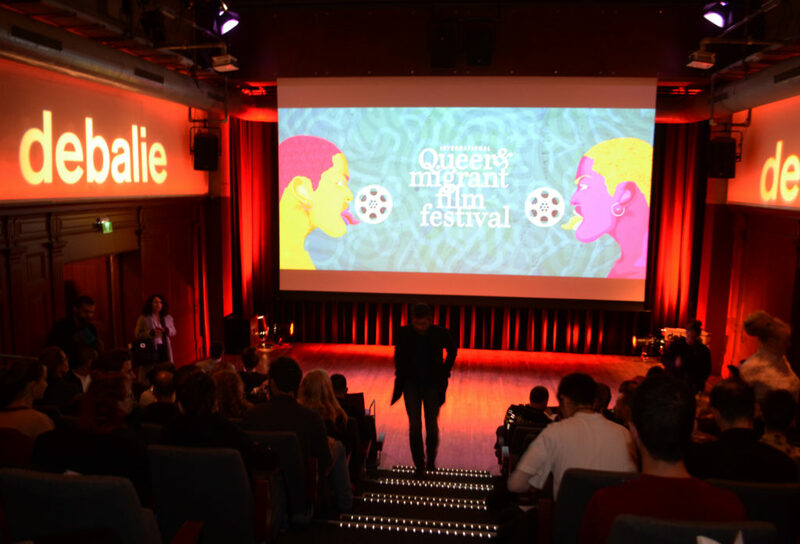 During this festival three brave LGBT refugees shared their life stories and their journey in coming to The Netherlands in search for freedom and love. After the presentation the three participants gave an interview for a local TV station and shared their journey for a local television show. 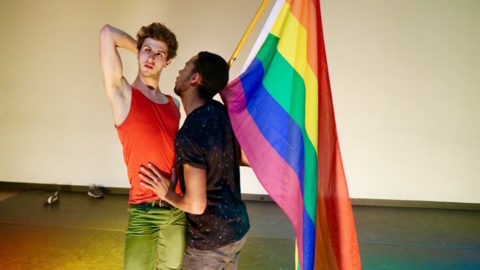 The Alexander project seeks to develop new performing art and soft skill methodologies to address sexual diversity topics. Five organisations from five European countries bring together their shared knowledge and experience in order to equip youth workers with alternative tools with which to foster inclusion and acceptance among a younger demographic. 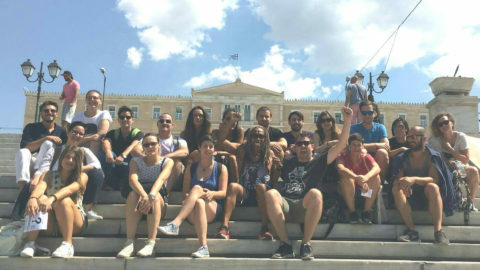 The diverse and even opposite contexts of Cyprus, Greece, Macedonia, Slovenia and The Netherlands come together to create powerful and adaptable techniques for youth workers everywhere. Perform2Reform is executed in conjunction with LGBTI Support Centre -Macedonia www.lgbti.mk; Legibitra – Slovenia www.legebitra.si; Accept LGBT – Cyprus www.acceptcy.org, UNESCO Youth Association Thessaloniki – Greece www.unescoyouth.gr and is funded by Erasmus Plus funding scheme of the European Commission. 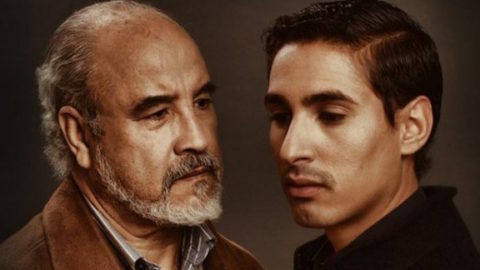 For over 30 years -long before Cannes and Venice decided to finally create their own queer-centric awards- the Berlin film festival has consistently recognised the very best LGBTQ+ genre, awarding a ‘Teddy’ to films that shine a light on diversity. Berlinale has been a launching site for some of the world’s most iconic LGBTQ+ cinema. Its 2018 version was, of course, no exception. 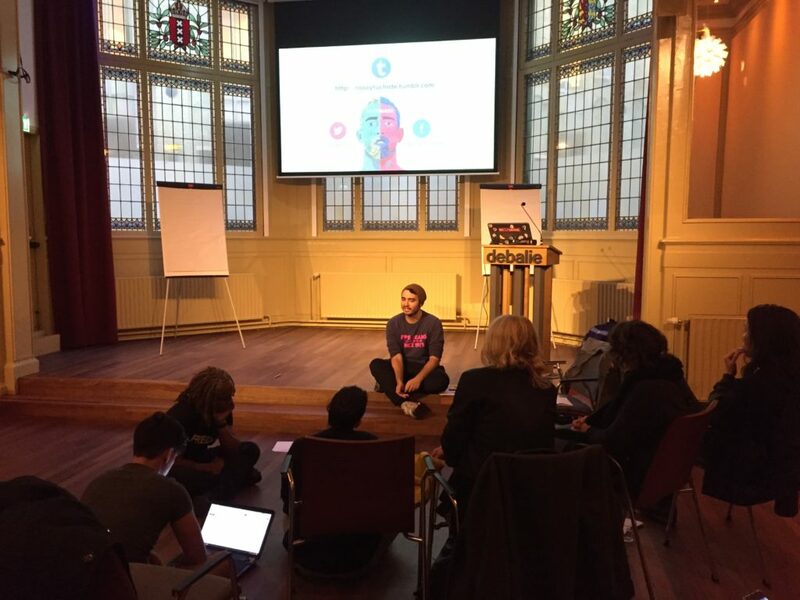 Stichting art.1’s director, Chris Belloni, attended the festival and met with up and coming film makers, industry insiders and festival representatives from around the globe in the search for films that will undoubtedly set the tone for international LGBTQ+ representation, and be centrefold in the community’s advocacy and visibility. Berlinale 2018 played host to a whole new spectrum of international queer cinema that promises to dive deep into the sexual politics of both mind and body across a range of cultures. 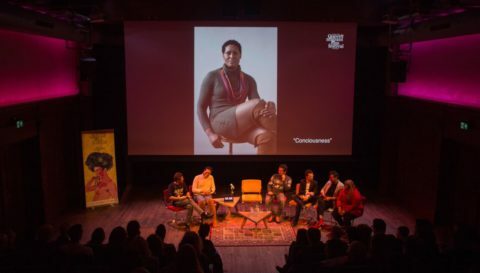 Between April 11th 2018 and April 15th 2018, the ‘Queer Faces Migrant Voices: Berlin Edition’ took place in the German capital. 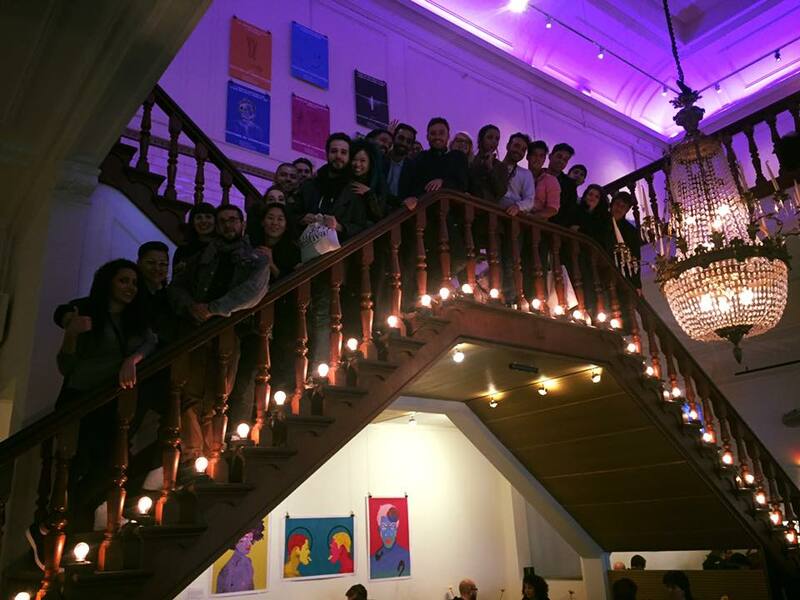 16 queer migrants were selected to join the project, eight in the Netherlands and eight in Germany. 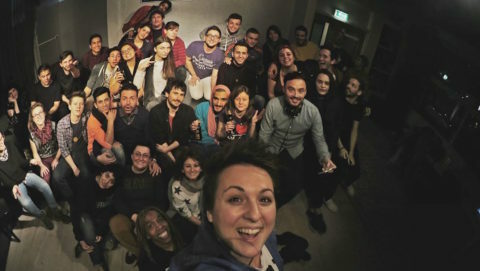 During five days, participants from both countries undertook intensive training in storytelling and radio broadcasting techniques, allowing them to share their stories as migrants and queer individuals, further nourishing the collective mosaic of the Queer & Migrant narrative. 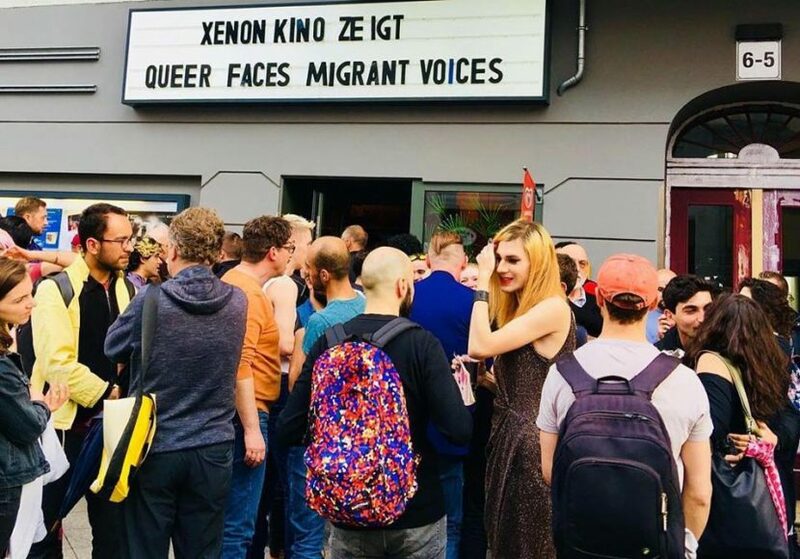 After extensive recording, editing and fine tuning at the Multicult FM studios in Kreuzberg, fragments from the resulting stories were presented by each participant at a public screening in the Xenon Kino cinema, followed by the German premier of internationally acclaimed LGBTQ+ documentary ‘Mr. Gay Syria’. The full stories will be further disseminated through podcasts, radio programs, online platforms and presentations in both countries. 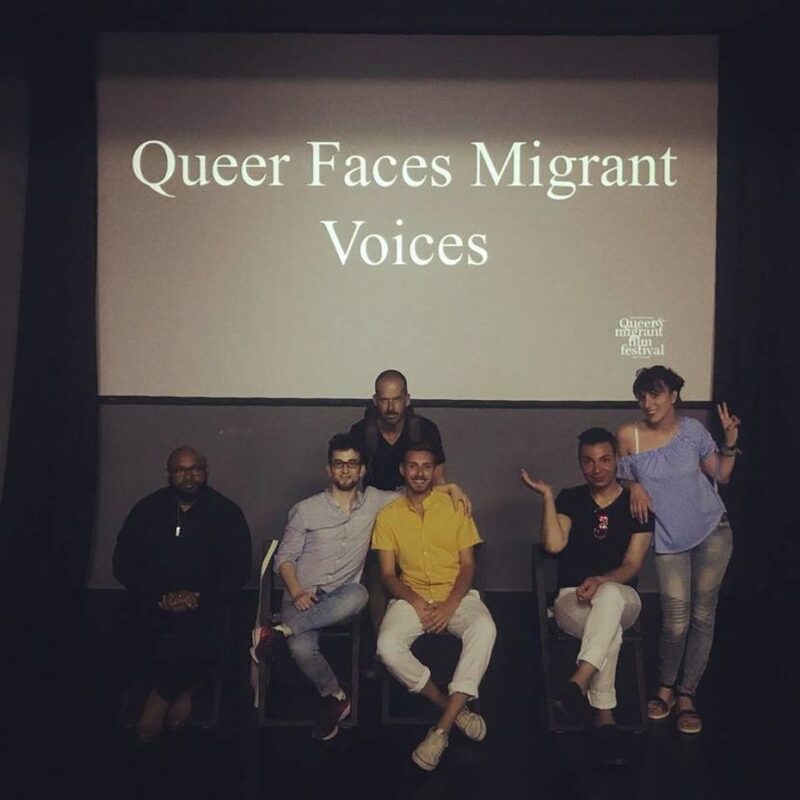 Queer Faces migrant Voices: Berlin Edition was executed conjointly with KIJUFI and funder by the Fonds voor Cultuurparticipatie (NL) Berliner Projektfonds Kulturelle Bildung (DE) Fonds voor Sociale initiatieven Stichting Steunfonds bja.cow (NL).